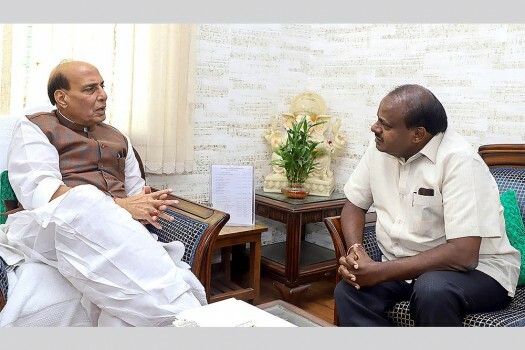 Karnataka Chief Minister H D Kumaraswamy calls on the Union Home Minister Rajnath Singh, in New Delhi. 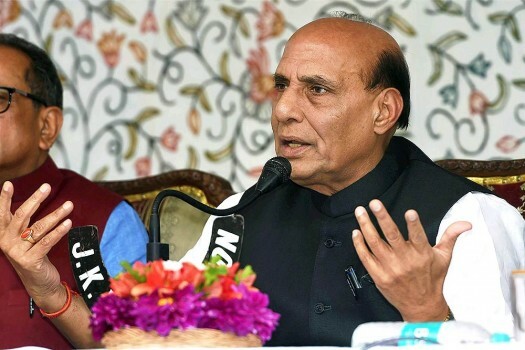 Union Home Minister Raj Nath Singh at a press conference in Srinagar. 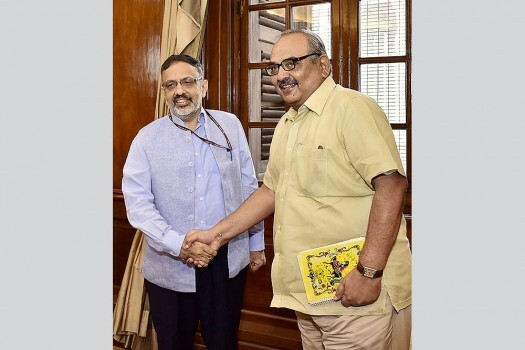 New Home Secretary Rajiv Gauba (L) being welcomed by outgoing Home secretary Rajiv Mehrishi after taking charge, in New Delhi. 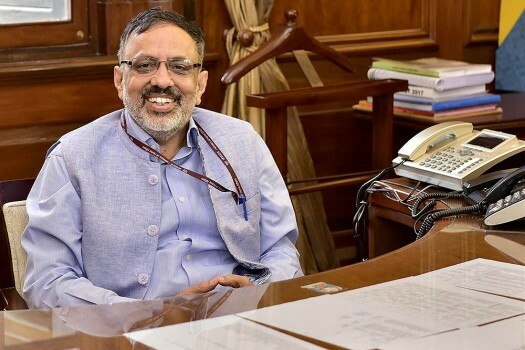 New Home Secretary Rajiv Gauba smiles in his office after taking charge, in New Delhi. Jammu and Kashmir Chief Minister Mehbooba Mufti during a meeting with Union Home Minister Rajnath Singh, in New Delhi. 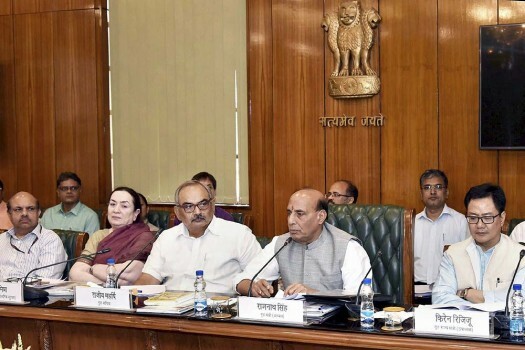 Union Home minister Rajnath Singh chairing a meeting of the Hindi Advisory Committee of Home Ministry, in New Delhi. 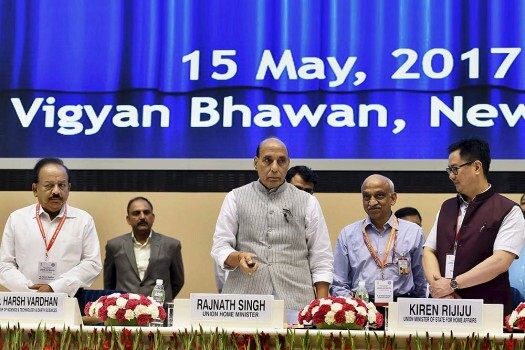 Minister of State for Home Affairs, Kiren Rijiju is also seen. 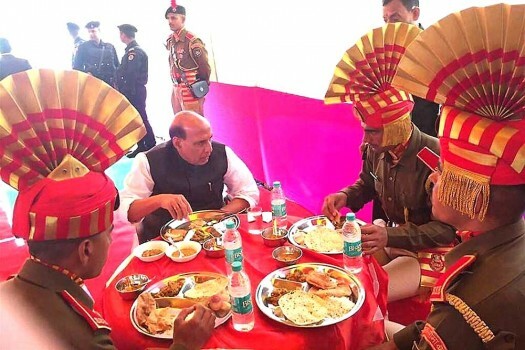 Union Home Minister Rajnath Singh having lunch with jawans in Pelling, Sikkim. 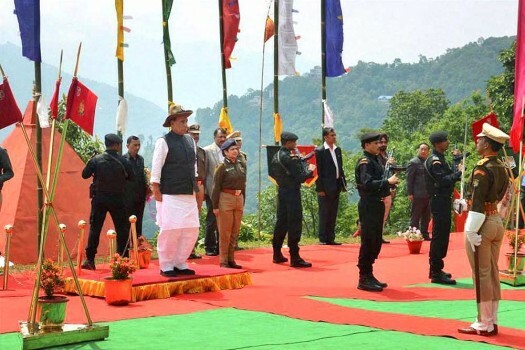 Union Home Minister Rajnath Singh taking salute during his visit to the 36th Batallion Gayzing in western Sikkim. 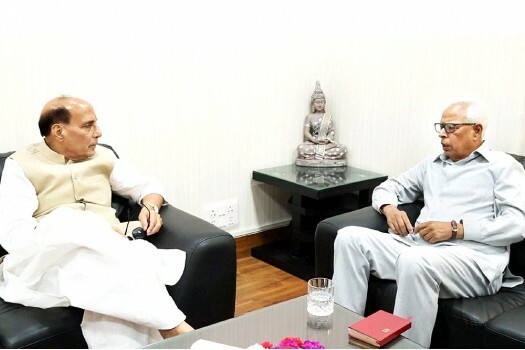 Union Home Minister Rajnath Singh and Governor of Jammu & Kashmir N.N. 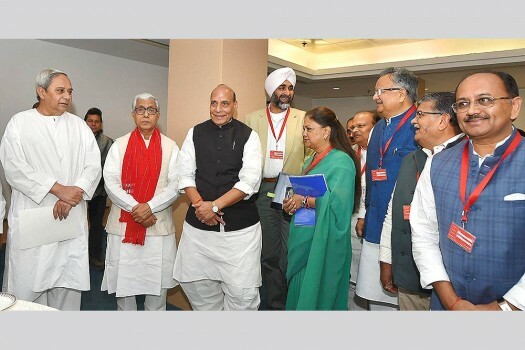 Vohra during a meeting, in New Delhi. 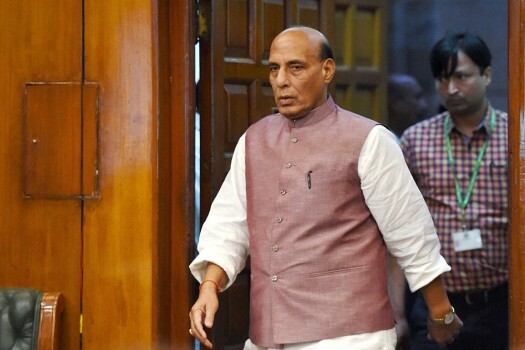 Home Minister Rajnath Singh arrives to review Prime Minister's Development Package for Jammu & Kashmir at North Block, in New Delhi. 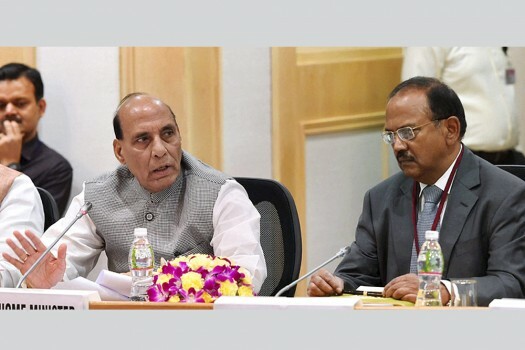 The Union Home Ministry says it has not asked the Assam government to conduct any inquiry against some editors who are opposed to the Citizenship Bill as reported in a section of media. The move comes following reports that Bangladeshi actor Ferdous Ahmed, along with a few Indian actors, allegedly took part in campaigning for Trinamool Congress candidate Kanhaiyalal Agarwal. 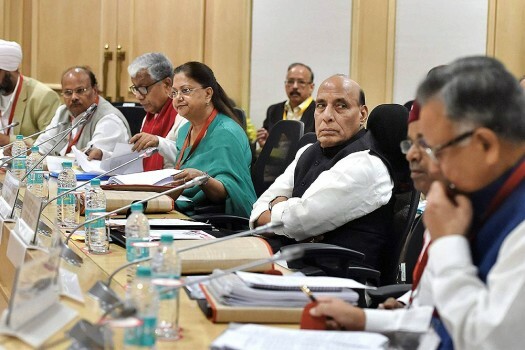 The advisory came hours after Home Minister Rajnath Singh addressed an all-party meeting that passed a resolution condemning Pakistan's support to terrorism. 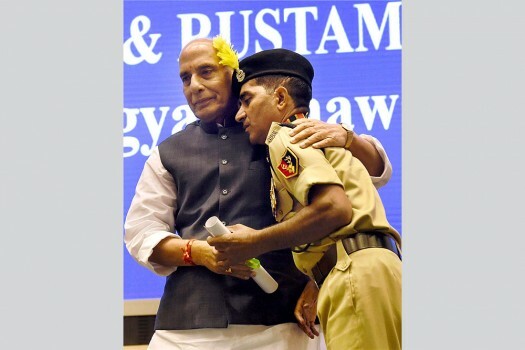 Rajnath Singh will be visiting Srinagar Friday to take stock of the situation in the wake of the attack on the convoy that killed at least 40 CRPF personnel. 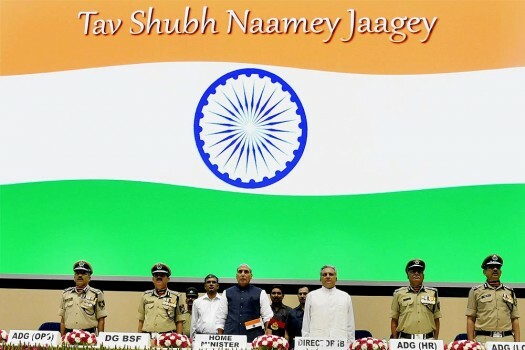 Rajnath Singh said he supports the freedom to follow any religion but was of the opinion that a debate is needed as mass conversion is a matter of concern for any country. 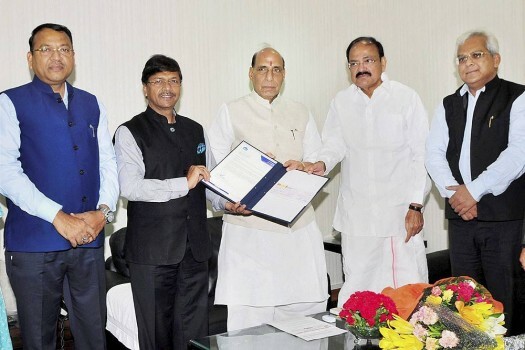 The government authorised 10 central probe and snoop agencies for the purposes of interception, monitoring and decryption of any information generated, transmitted, received or stored in any computer resource under. "I deeply regret the way the report was handled. They (interlocutors) did a fantastic job. We should have acted. 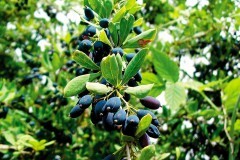 It remains one of my regrets," the Congress leader said. 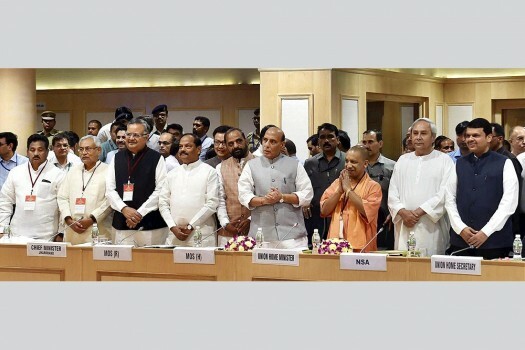 He also accused the Congress of trying to gain political mileage over the issue with an eye on the Lok Sabha elections next year. 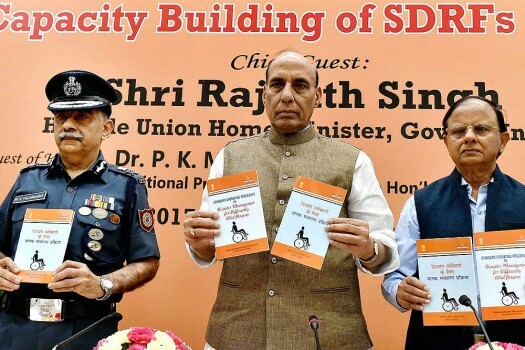 In spite of two notices from the Commission earlier, the MHA did not send its officials or produce documents sought by the transparency panel.